Driving in from Manas airport to central Bishkek very early in the morning you usually get the first glimpse of the beautiful high mountains to the south of the city in the Ala Archa National Park. The Kyrgyz people are understandably very proud of their beautiful mountain ranges, which reach over 7000 metres with Peak Pobeda and the Tien Shan mountain ranges, their beautiful salt water lake at Issyk Kul and their nomadic culture and traditions, with their yurts and 40 tribes as represented on their red and yellow flag. 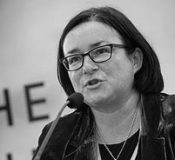 They are quietly proud too that they have chosen a different route to most of their Central Asian neighbours following independence in 1991 and are trying to establish a free and open society based on open elections and parliamentary democracy. The Presidential elections on 15 October will be a significant test along this road but at this stage it appears to be a genuine competition and posters for the Presidential hopefuls can be seen all over Bishkek as well as in the rural areas. Like so many young parliaments in post-Soviet countries the Kyrgyz Parliament passes over 400 laws each year and an MP’s effectiveness is all too often deemed to be judged by the number of “laws” they pass rather than the quality of these laws or by their ability to hold the government effectively to account. Effective implementation of these laws and monitoring their effect on the lives of Kyrgyz citizens is an area which still needs significant work for the people to feel more closely connected to their parliament and its MPs. 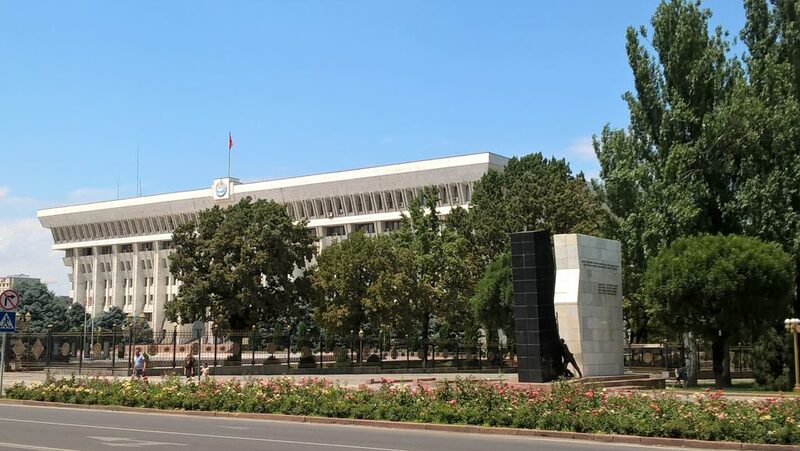 And so as GPG consultants we have been working on a project throughout this year, with our partners based in Bishkek, to try to re-connect the citizens of Kyrgyzstan to their parliament by assisting the MPs to develop their oversight function in scrutinising the effectiveness of laws. We are carrying out a pilot project by selecting a particular law that has already been passed and, working with the government as part of a cooperative process, see whether this law can or should be improved. The law that has been chosen for this pilot project in the Kyrgyz parliament is a law which was passed four years ago. It is a migration law on acquired rights for Kyrgyz citizens living and working abroad. There are over one million Kyrgyz people living and working abroad, primarily in Russia and neighbouring Kazakhstan. And given that the total population of Kyrgyzstan is 6 million this means that virtually every Kyrgyz citizen is affected directly or indirectly by this issue. Remittances sent home currently account for about 30% of Kyrgyz GDP. Following the UK experience of parliamentary inquiries, we suggested that a fact-finding visit to Russia might assist in gathering useful data, as well as in providing the extremely valuable first-hand stories which make an inquiry report come alive to its readers. Much of our work in the Kyrgyz Parliament on this most recent visit has been in advising and mentoring the parliamentary staff in their preparations for this visit to Russia – on producing background briefing materials and suggested questions, as well as giving some practical advice on how best to organise such a visit working through Embassies and Consulates, etc. 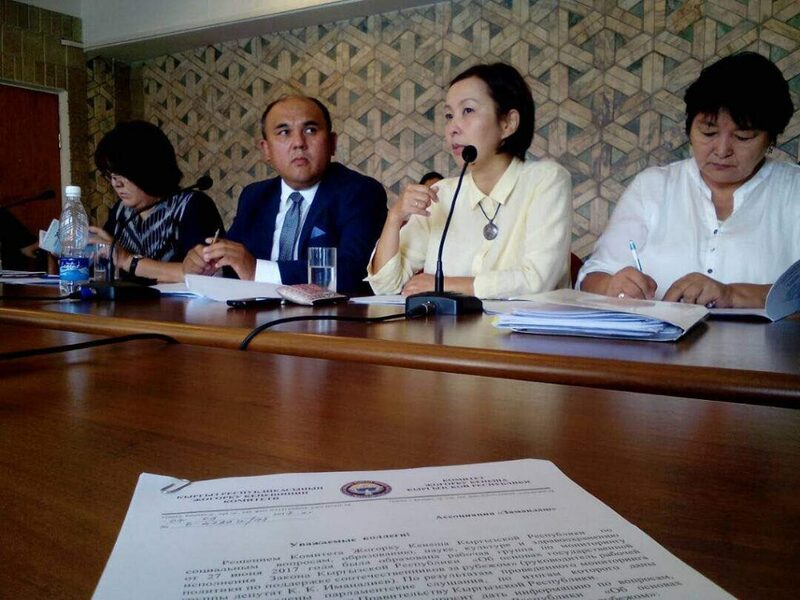 Although Kyrgyz laws are already subject to some degree of monitoring following their enactment, this will be the first parliamentary-led post-legislative scrutiny project of its kind – not only in Kyrgyzstan but also in the wider region of Central Asia. This was my fourth visit to Kyrgyzstan this year and it is a country I have grown to like enormously with its proud and wonderfully hospitable people. I think the Kyrgyz Parliament too is becoming used to seeing its UK visitors with our strange British titles (pronounced “Seer” and “Baronyessa” in Russian) and to welcoming us back each time with a genuine warmth and enthusiasm. When we begin to be seen as part of the team, rather than as novel “one off” visitors, we know that we are really beginning to make progress. To find out more about post-legislative scrutiny, read GPG’s Guide to Parliaments on PLS.